Glass doors and a soft white finish on this TV console create an airy and light piece perfect for an updated home. Not just nice to look at, the piece also has plenty of storage space with three drawers and two wood doors flanking the glass ones. 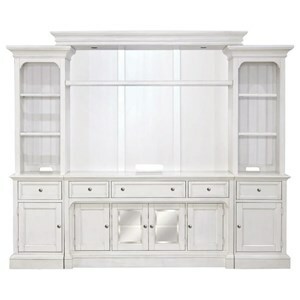 Pair with the hutch and piers from this collection to form a breaktaking wall unit. 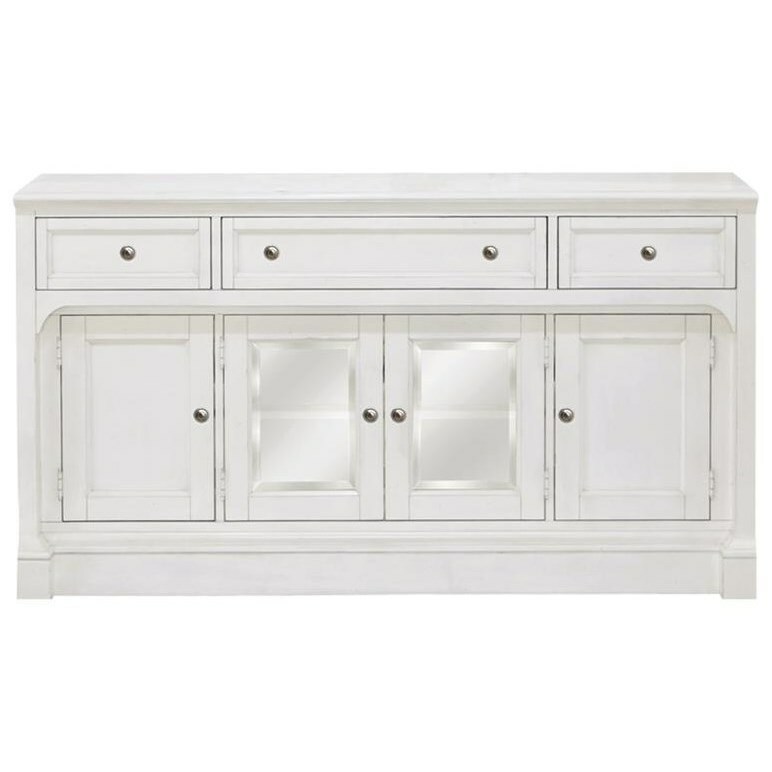 The Laurel Garden Soft White TV Console with Glass Doors by Magnussen Home at Value City Furniture in the New Jersey, NJ, Staten Island, Hoboken area. Product availability may vary. Contact us for the most current availability on this product. Browse other items in the Laurel Garden collection from Value City Furniture in the New Jersey, NJ, Staten Island, Hoboken area.